The Leovet Power Detangler provides a horse's coat with a lovely bright finish with lots of volume which enables quick combing of the mane and tail. The UV-Filter protects coat and longhair against bleaching while the light fly protection helps to keep flies and insects away. Available with walnut for dark, and chamomile for pale coats. 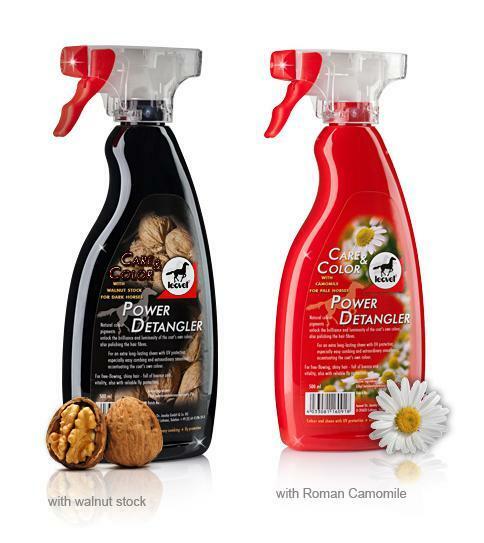 There are currently no questions for Leovet Power Detangler for Horses - be the first to ask one!